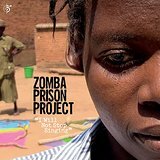 Another fine collection of heartfelt tunes from male & female inmates of the dilapidated 19th century maximum security prison in Malawi – now ranked the poorest nation on Earth. Proceeds go to the legal defense of inmates. The project has been attracting international attention to the situation in the prison.